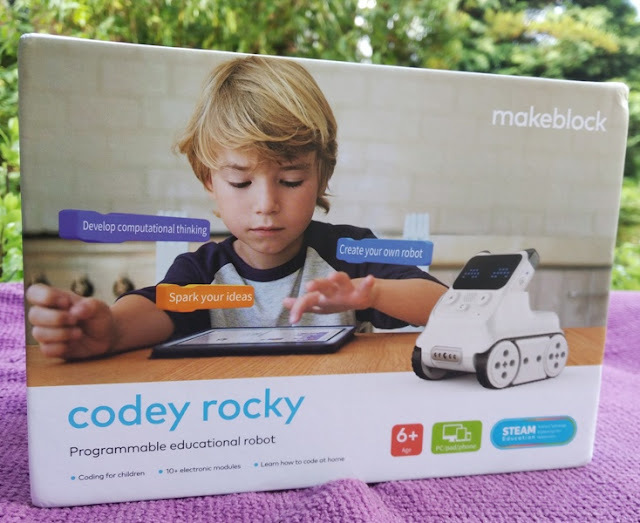 Makeblock Codey Rocky Coding Programming Toy For Ages 6 and Up! Whether you like learning with your ears or eyes, visual learning is easily the most practical way to process information by seeing it rather than hearing it. Programing and/or coding is no different so what better way to learn how to code a program than visually? 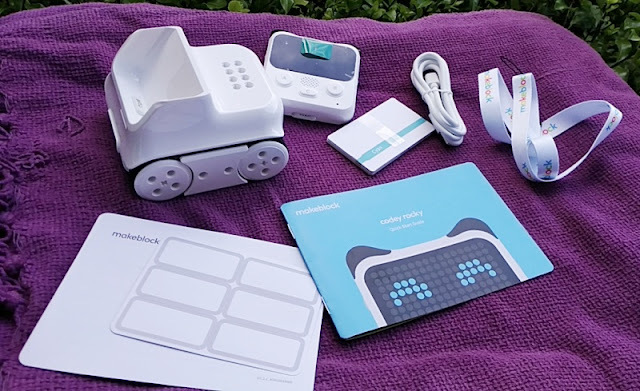 That's where a coding/programming toy like Codey Rocky by Makeblock comes into its own by simultaneously sparking the artistic, creative and logical sides of the brain. Because Codey Rocky uses a graphical programming software (mBlock5), it's just a matter of dragging and dropping blocks of code to write and run a program in real-time. Best of all, Codey Rocky is plug and play so you can start using it right out of the box. 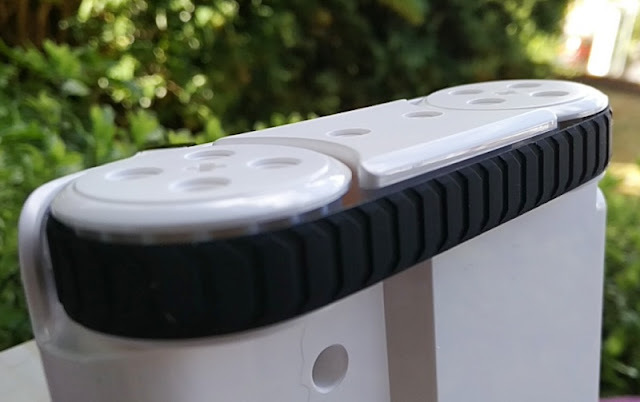 Codey Rocky has an interesting design consisting of a tank shape body (Rocky) that features a pogo pin connection and tubes/holes for lego bricks studs to go into, making Codey Rocky an expandable and versatile toy solution. The cat shape head, which is the brain (Codey), slides into the body of Rocky snapping magnetically via pogo pin connection. 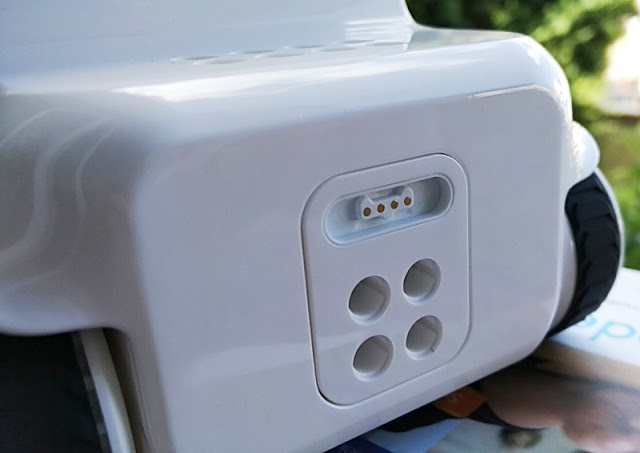 Codey features a micro USB port on top for charging Codey and connecting Codey to a computer. 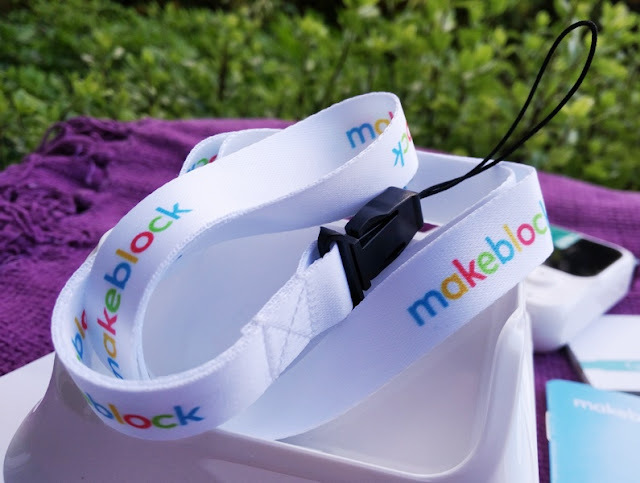 Next to the charging port there is an opening for looping the included Makeblock lanyard. 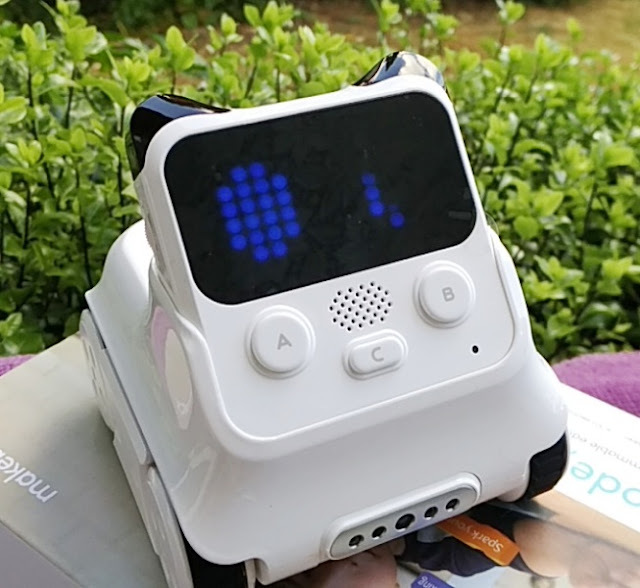 On the front of Codey, you find a 16 x 8 LED matrix display for creating customized text and animations, three buttons, a speaker, and a sound sensor LED light (below the B button) that allows Codey to detect light intensity and loudness of sound. 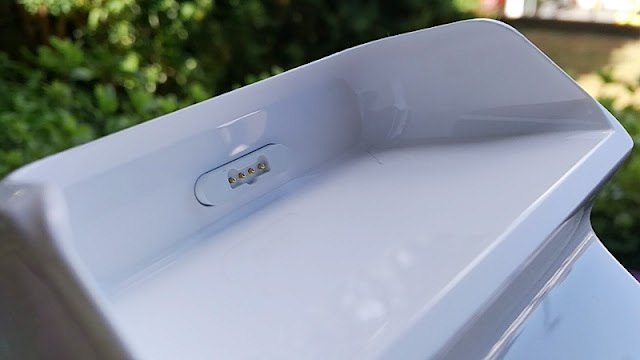 On the bottom of Codey, you find the magnetic connector port that lets you hook up Codey to Rockey and to third-party sensors from the Neuron inventor kit. On the left and right side of Codey, you find a power button and a gear dial for coding music. When you write code, you can assign functions to all three buttons as well as the gear dial. 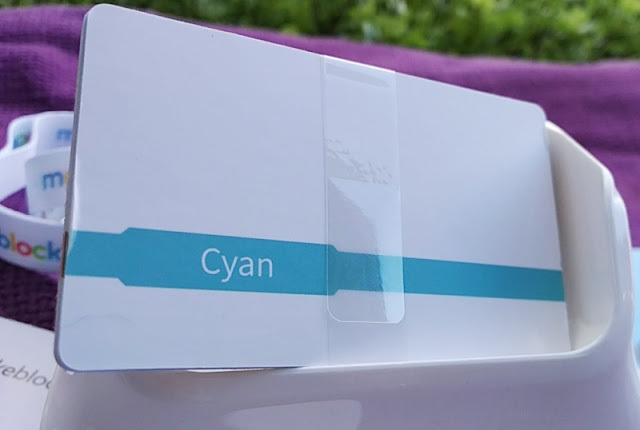 Internally, Codey integrates a ESP32 chip, which is a powerful chip on board with dual core microprocessors capable of speeds up to 240MHz. 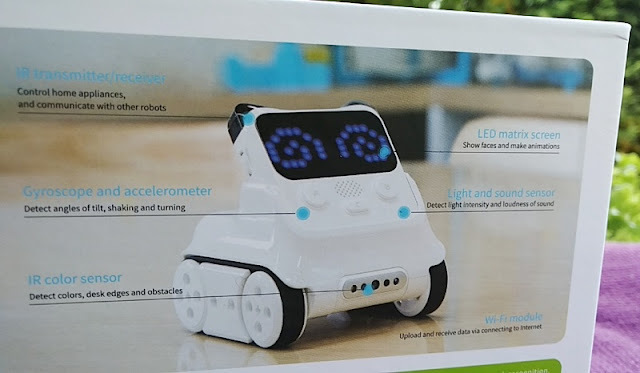 Codey also integrates a hardware accelerator that enables secure code storage, as well as Bluetooth 4.2 radio, Wifi and classic Bluetooth for connecting Codey Rocky to an old Bluetooth phone. 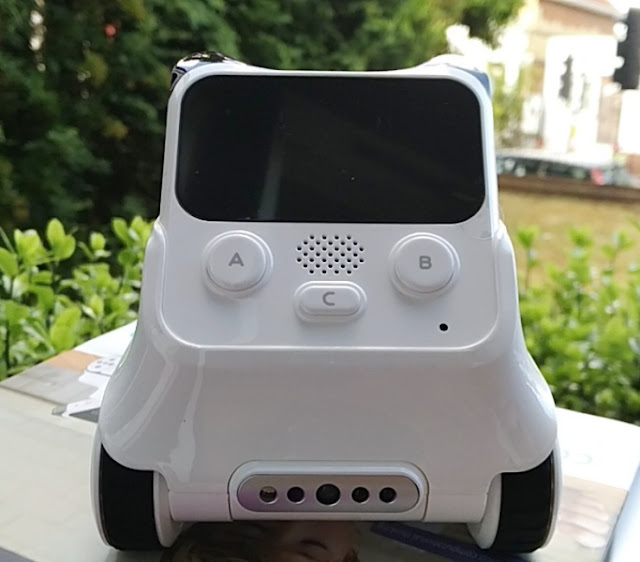 Codey also has built-in to it a 950mAh lithium battery (charges in 2 hours), a gyroscope, an accelerometer and an IR transmitter/receiver that turns Codey into a remote control, allowing you to control different types of home electronics such as a TV. While Codey's ears look cute, they do serve a purpose as they integrate the IR transmitter (left ear) and the IR receiver (right ear). 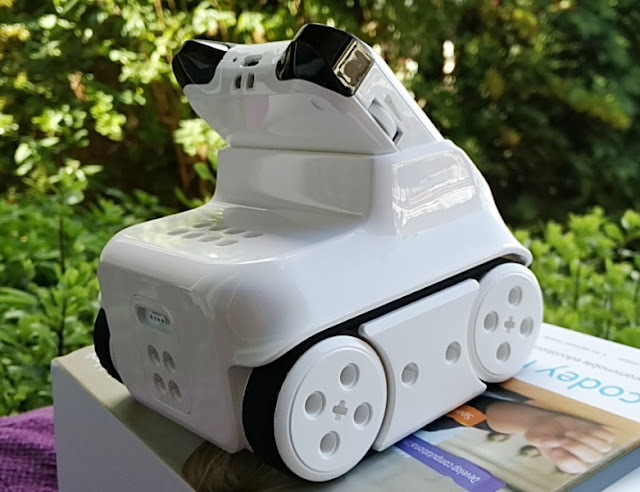 Rocky's "tank shape" body features a color infrared sensor and caterpillar tracks powered by a DC geared motor that gives Codey Rocky plenty of torque. 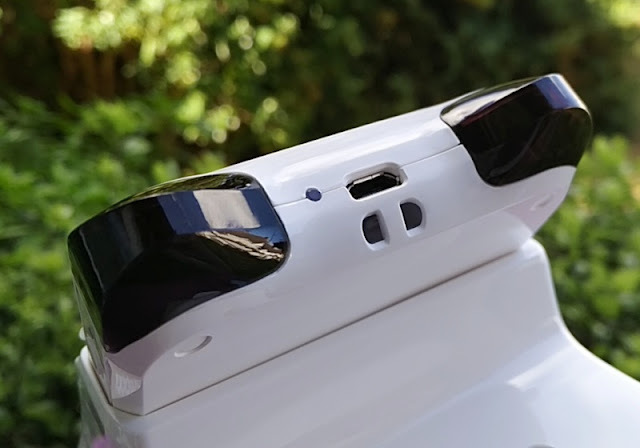 The arrow of leds on the bottom of Rocky can be rotated at different angles and features an infrared color sensor similar to that of a TV remote control. 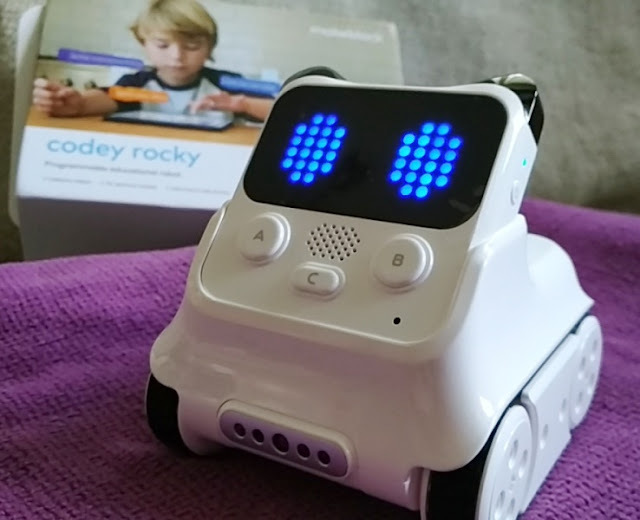 With the infrared sensor, Codey Rocky can differentiate between light and dark colors; therefore you can program Codey Rocky to detect different-color obstacles. 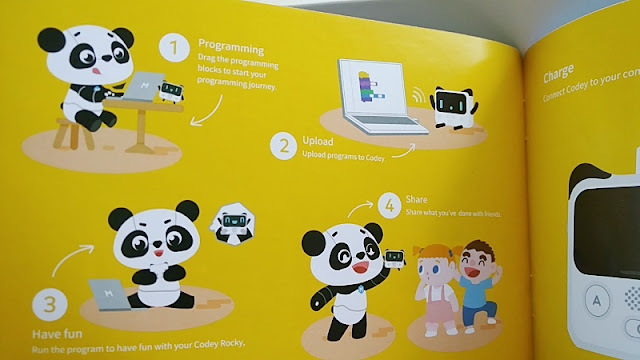 With the included color cards, you can even program Codey Rocky to make different sounds as it detects different colors. 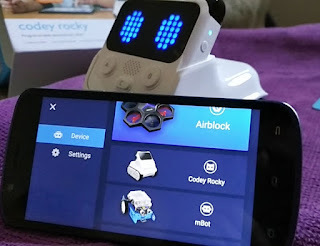 While Codey Rocky hooks up to a computer, there is the Makeblock mobile app which has the same functionality as the desktop app version but with the convenience of a smartphone app. 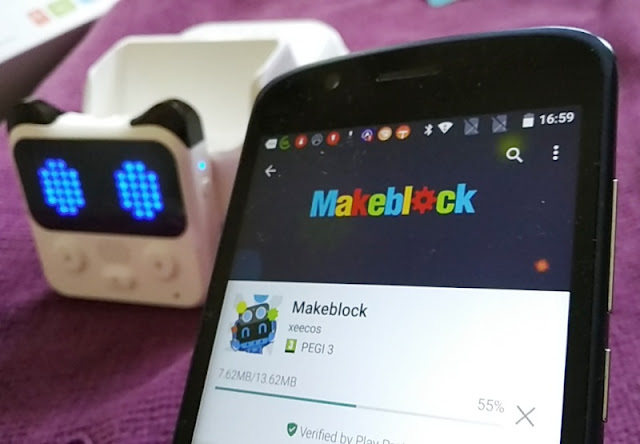 A neat feature of the Makeblock app is that this same app controls other Makeblock robots including Airblock and mBot so if you own these toys you won't have to download different apps to operate them. 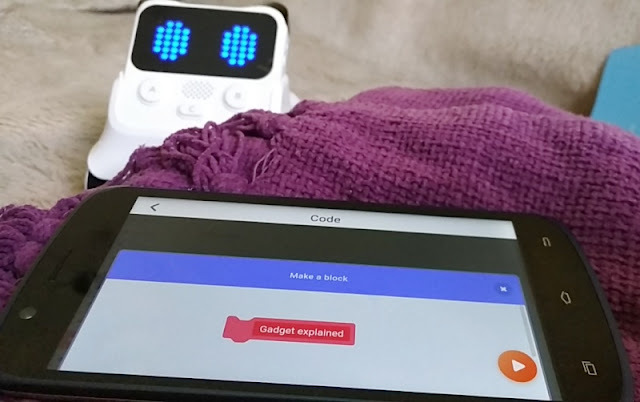 After downloading the Makeblock app, you will receive a message prompt asking you to connect which connects the app to Codey Rocky via Bluetooth. 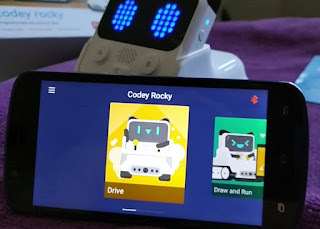 Once connected, you are presented with a simple menu option that lets you program Codey Rocky (Draw and Run) and/or control Codey Rocky like a remote control car with cool audible sounds. From the Makeblock app, you are also able to program Codey's led display with any type of pixel art you can think of. The Draw and Run menu option is pretty cool because it lets you program Codey Rocky on the fly and in real time by drawing a driving path with special effects that you simply drag and drop. 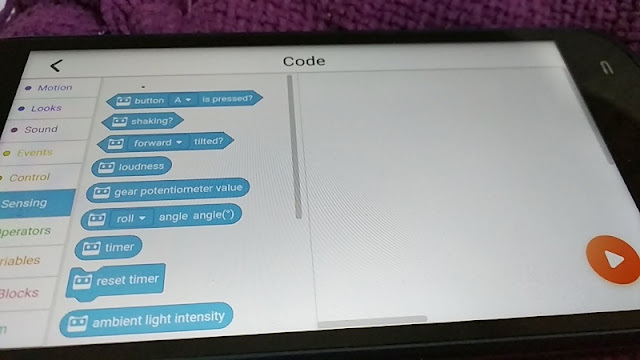 The Code menu option of the Makeblock app utilizes the mBlock graphical programming software which is super easy to learn and a neat way to get around the mechanics of programming a robot. 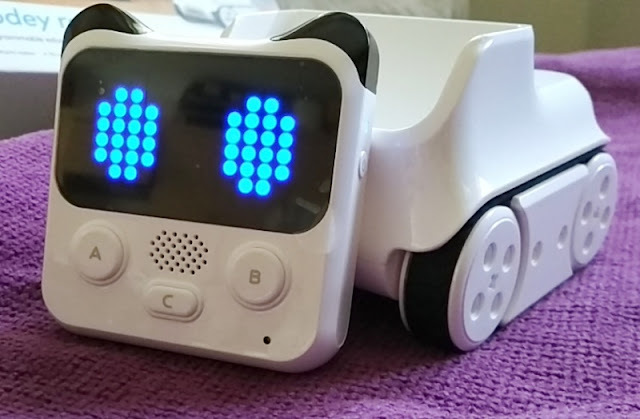 mBlock lets you tweak every aspect of Codey Rocky programming toy, including the sound and led display, and make it do anything in any sequence you want. The mBlock5 software is reminiscent of visual programming and IFTTT as you can create chains of simple conditional statements.